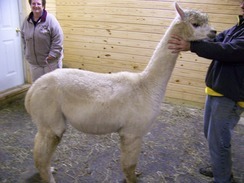 Imagine our excitement when the mill processing her 2011 fleece called us and encouraged us to enter her yarn in the AOBA National Show. They said that her yarn practically glowed - even though she was huacaya it had the luster of a suri. She garnered a 2nd place finish in the show, with the judge's comment that her yarn had the best handle of all skeins shown! Southern Comfort has started his show career off with a bang. 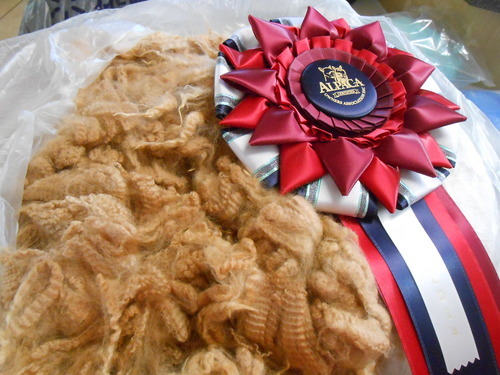 Not only first place for fleece at SAFF but Judge's Choice and Best Crimp as well. Then 3 blue ribbons in Bred and Owned, capped off with Best of Bred and Owned at Southern Select. Judge Kevin O'Leary was very impressed with his fineness in spite of "the stinking orange clay." 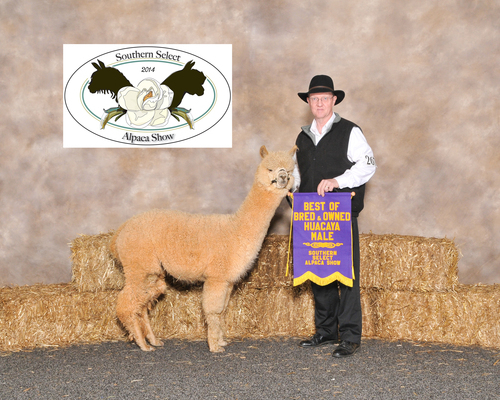 With his 1/2 brother, OA2 Chicamagua, he brought a blue ribbon for Produce of Dam at FABA for his dam Beachwood's Amazing Grace. 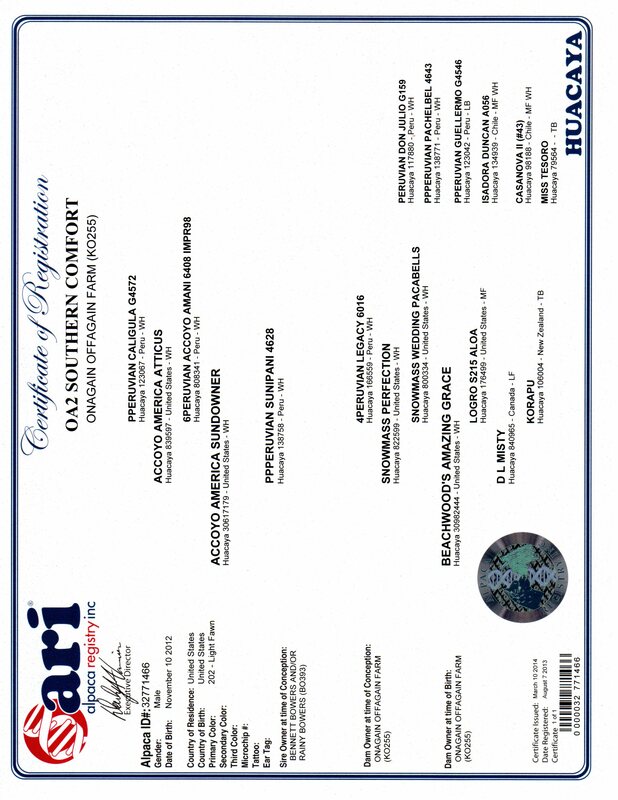 His pedigree is like a veritable who's who in alpaca genetics: Accoyo America Sundowner, Accoyo America Atticus, Caligula, 4Peruvian Legacy, Don Julio, Sunipani, Pachalbell, and Guellermo to name a few. This little guy is just getting started. 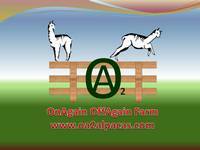 His first cria are on the ground and they are just what we ordered! 3 year old fleece brought a 1st place finish (out of 8) at the 2017 AOA National Show. !